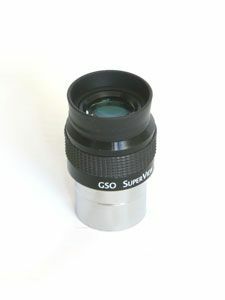 This is a 1.25" eyepiece. All SuperView series eyepieces have a long 20mm eye relief. Apparent field of view for all eyepieces are 70 degrees except for the 42mm and 50mm design. Excellent field flatness and suitable for all telescope with focal ratio of 5 or above.